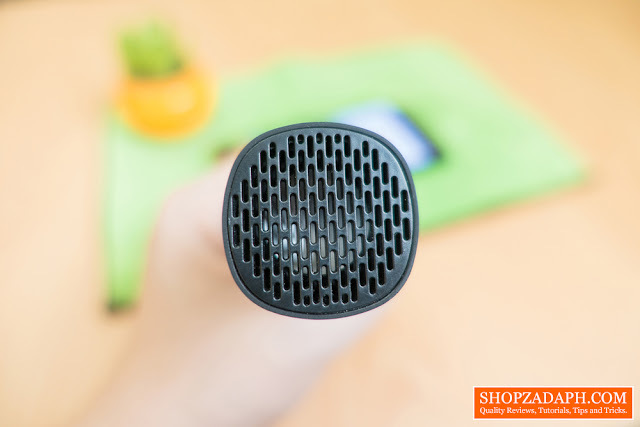 Once in a while, we encounter tech gadgets that are innovative in some way. Some works just fine and some are totally useless or meaningless. Today, we are going to take a look at one of those clever devices. 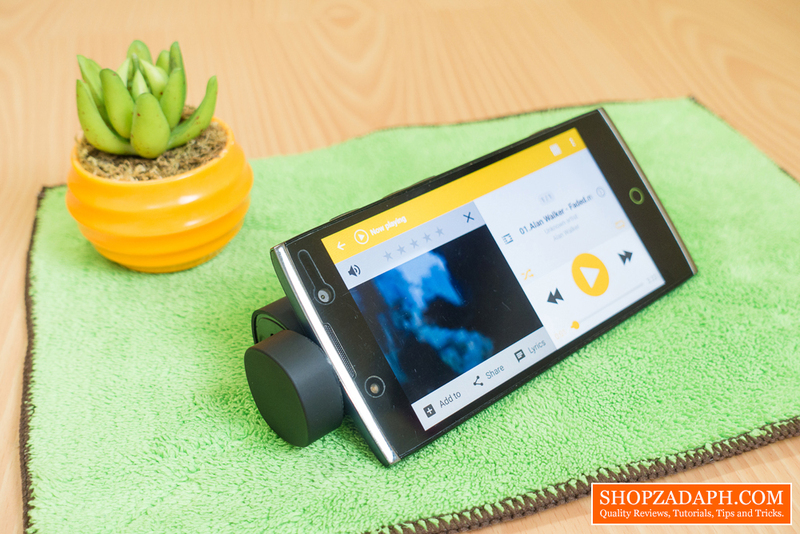 We have here a 3 in 1 gadget in a form of a speaker, power bank, and a smartphone stand, the PowerJam 3 in 1. I've got this for a while now and I've been holding on to making this review because I wanted to test it out myself. It has mixed reviews all over the place and I wanted to find out if this is good or trash. Spoiler alert, it actually works and I and my wife were impressed at least for the speaker. Let's discuss why. The design of the PowerJam 3 in 1 has this rectangular shape with rounded edges. The surface has a smooth matte finish that is nice to the touch and does not attract fingerprints that easily. The construction feels like it's made of hard plastic including the speaker grill at the bottom which we're going to take a look at later. 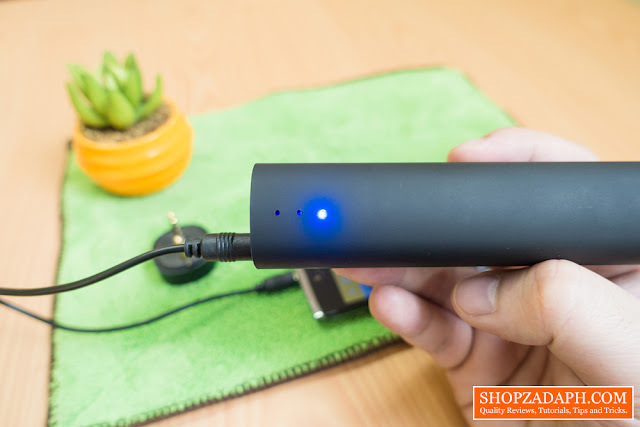 Pop out the top cap and you will be greeted by the USB port where you can attach your charging cable for your smartphone as well as the included USB to 3.5mm jack cable that you'll need to charge the power bank, more on that later. 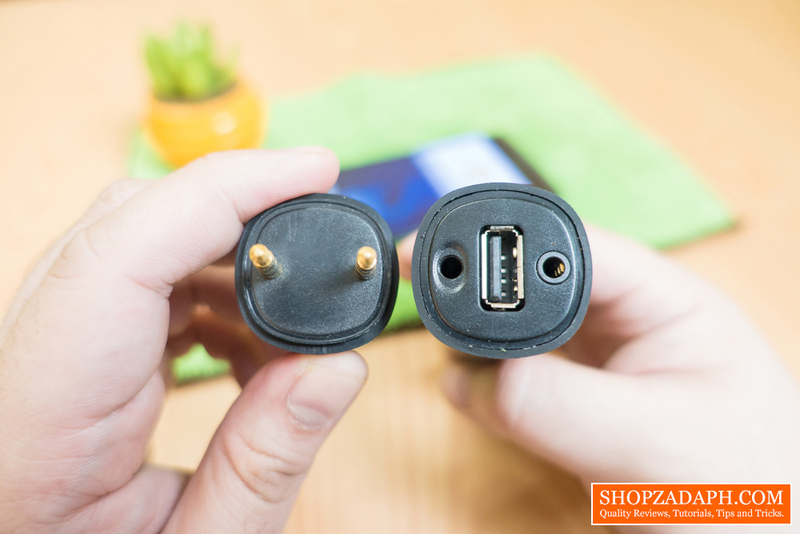 You will also see two 3.5mm port at which only one is actually an audio output, the other one is used to make sure the cap doesn't rotate when it's closed. On the cap, you'll see two 3.5mm plug. 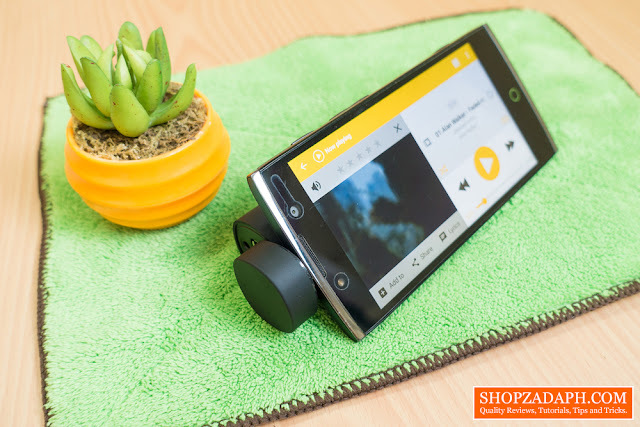 It's reversible so you can use either of them when you connect your smartphone to the speaker. Speaking of the speaker, it's located on the other side(bottom) of the power bank. It's tiny as you can see but it provides decent sounding audio. 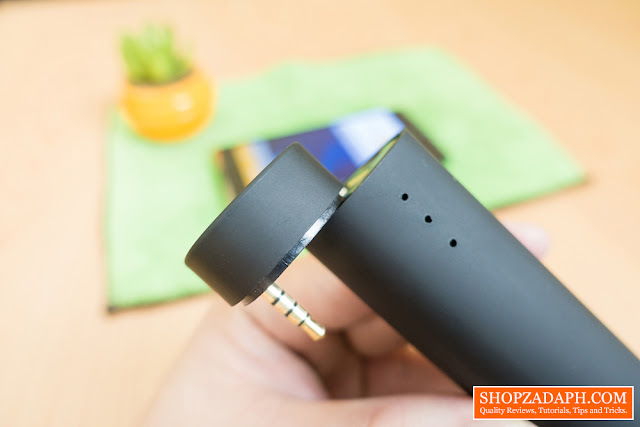 The package also includes a 3.5mm to 3.5mm jack cable if you want to connect your smartphone to the speaker without using the stand functionality. Speaking of the stand functionality, you'll have to connect the top cap like this and connect your smartphone to the 3.5mm plug and have its back lay naturally on the power bank to use it as a smartphone stand. 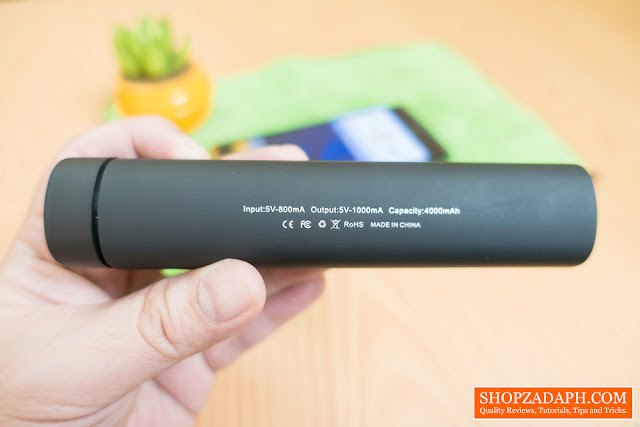 As a power bank, It's kinda disappointing because It was able to charge my phone for just only about 20% more which is weird considering it should have a 4000mAh of battery inside. I tested it twice with the same result. It's weird because after it stopped charging my phone, I tried to use it as a speaker and it is still working just fine, the sound is still good and not cracking up which means it still has enough juice. Your experience may vary though but I suggest that you treat the power bank feature as an emergency power bank only. There's no information on the manual on how long you should charge this but it's around 6hrs give or take. The way you charge this device is very weird as well, as you can only use the included USB to 3.5mm jack cable wherein you connect the USB end to your wall charger, laptop/computer or another power bank and the 3.5mm jack end to the power bank's 3.5mm port which is a really weird way to charge a device. Maybe they did it to cut cost by just using the 3.5mm port instead of adding a micro USB charging port. The LED indicator flashes red while charging and stops flashing when it's already full. It also turns blue when it's connected to a device using the 3.5mm to 3.5mm for music playback. 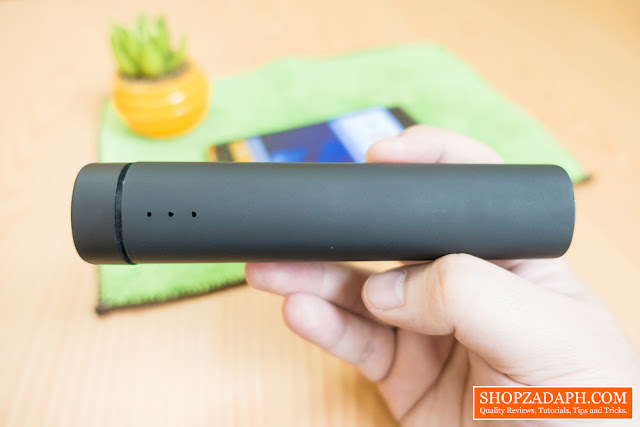 The speaker is actually the most surprising part of this clever device, coming into this review or even before I bought this, my expectation is very low considering the price and how tiny the speaker is. As per my testing, the speaker actually produces pretty decent sounds with an ample amount of bass considering it's size. It's way better than the speaker on my smartphone which is the reason why I actually bought this. It can get loud but it tends to get distorted at a higher volume especially at max. But even on a 60% volume, it produces clear and pleasing sound for my taste. Now, it's not meant to replace your desktop speakers or even your other portable Bluetooth speakers but for its size, the sound quality is decent enough. You'll know when the battery is low when the sound starts to crack or glitch. As a smartphone stand, it's pretty much straightforward. 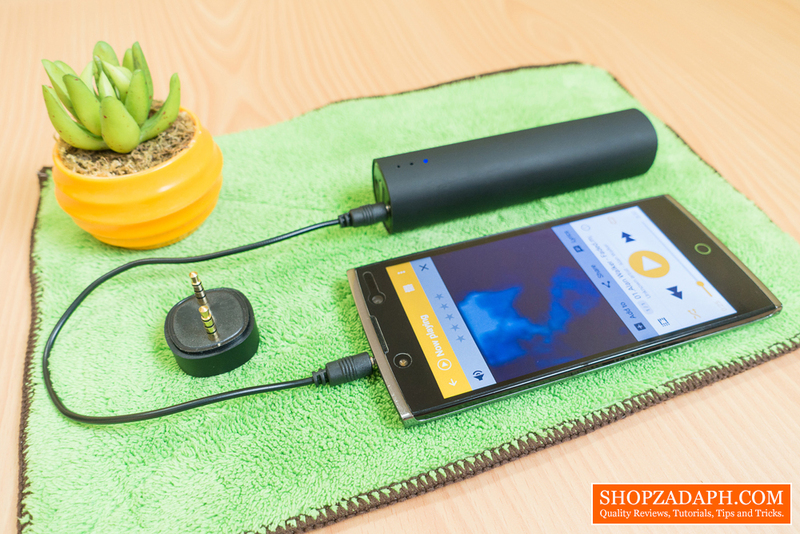 Plug in the cap like I've shown you before, plug in your smartphone to the 3.5mm plug and you're good to go. The only downside is you can't charge your device when you're on this setup because the cap actually blocks the USB charging port. Well, what can I say? 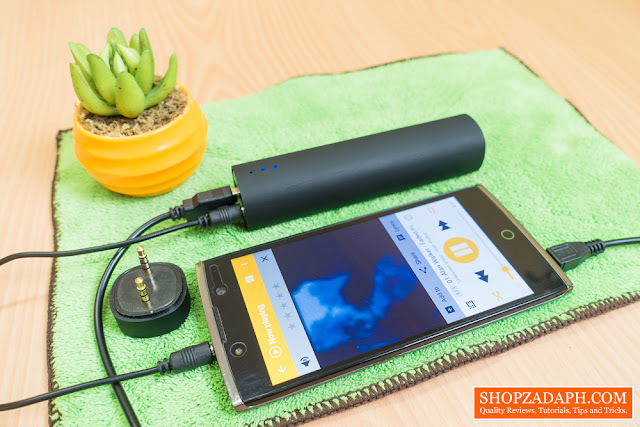 Aside from the power bank charging shortcomings, for just around 290 Pesos you'll get an emergency power bank, speaker, and a smartphone stand. That's hard to beat when it comes to price to performance to functionality ratio. Just try it out guys and let me know your experience as it may vary compared to mine considering this is an unbranded product. Nevertheless, I think it's worth a shot.